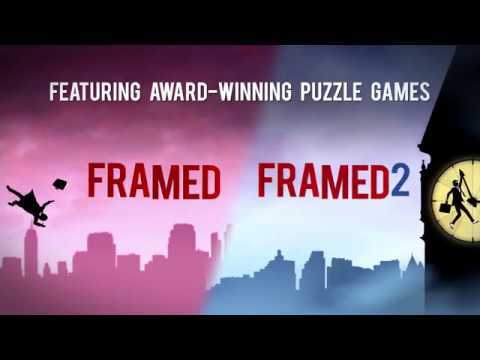 The FRAMED Collection is a compilation of the critically acclaimed, multi-award winning, noir-puzzle games FRAMED and FRAMED 2, where you re-arrange panels of an animated comic book to change the outcome of the story. FRAMED Collection was released on Linux, Mac, PC and Switch 338d ago in the US and the UK. Notify me when FRAMED Collection is available. Based on 2 FRAMED Collection reviews, FRAMED Collection gets an average review score of 75. If you’re a fan of noir thrillers, puzzle games or just creatively presented ideas, you’re bound to find something you’ll enjoy here. Framed Collection is a pleasant reminder of why these mobile games struck such a chord.